Evaluating the success of information systems has become an essential part for many organizations not only in Belize but around the globe. A research has been conducted on the information success of Moodle at the University of Belize. Data was collected from 120 students from the University of Belize, Belize City campus by means of questionnaires. This study provides an empirical test of an adaptation of DeLone and Mc Lean; success model in the context of Moodle Information System. The model consists of six constructs which are information quality, system quality, service quality, user satisfaction, use, and perceived benefits. The two other constructs added were the complimentary technology quality and self-efficacy measure. The Moodle information system being used by the University of Belize allows lecturers and students to upload documents, conduct online classes, and track student progress in their individual courses. 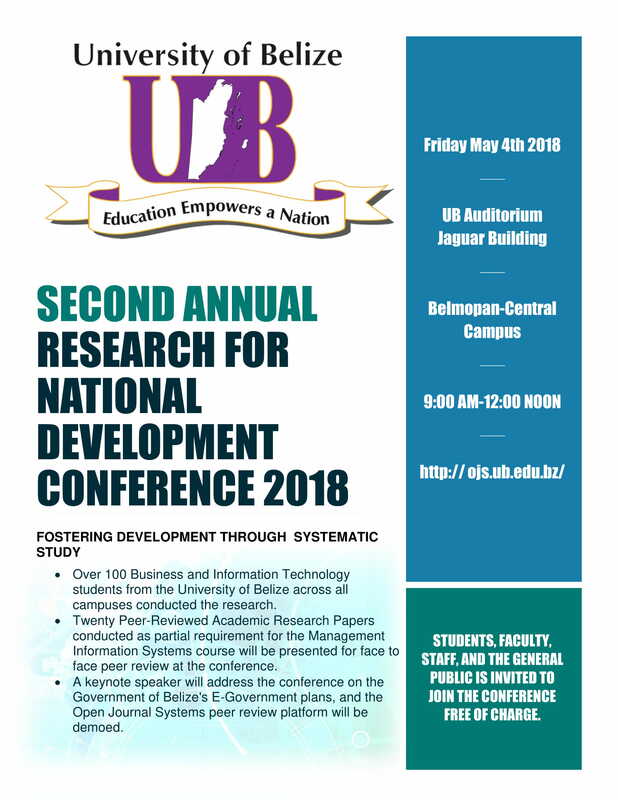 The aim of this research is to determine the net benefit Moodle provides and the learning management system that is utilized at the University of Belize which resulted to be moderately successful. The conclusion of this paper addresses the success of the majority of the responses which shows that more students find moodle to be helpful and beneficial. HOARE, Roberto Carlos et al. Measuring the Success of Moodle at the University of Belize, Belize City Campus. Proceedings of the RNDC, [S.l. ], v. 2, n. 1, may 2018. Available at: <http://ojs.ub.edu.bz/index.php/PRNDC/article/view/111>. Date accessed: 19 apr. 2019.